We give Summer Associates a good idea of what life will be like as an Associate here by providing meaningful work assignments and plenty of opportunities to interact with our attorneys. Summer Associates may prepare patent and trademark applications; conduct research for litigation cases; attend client meetings, depositions, and even trials. They also receive one-on-one training from attorneys, and through formal training sessions coordinated by our professional development staff. 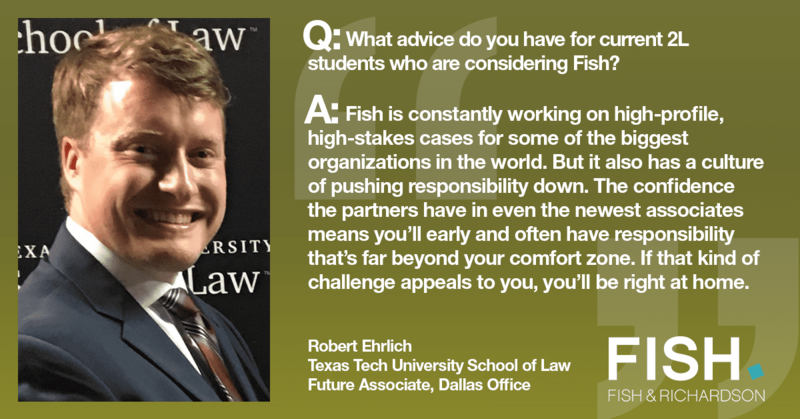 Additionally, summer associates participate in the firm’s nationwide videoconferences, which provide information relevant to our practice. We hire Summer Associates with the idea that each Summer Associate would make a successful attorney at our firm, and we give feedback to help our Summer Associates know how they’re doing. 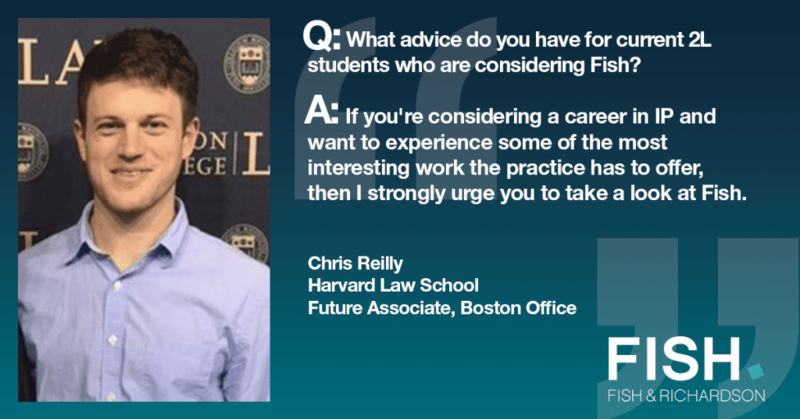 In addition to informal feedback from attorneys throughout the summer, Summer Associates are given feedback on their work during the midsummer and end-of-summer reviews. 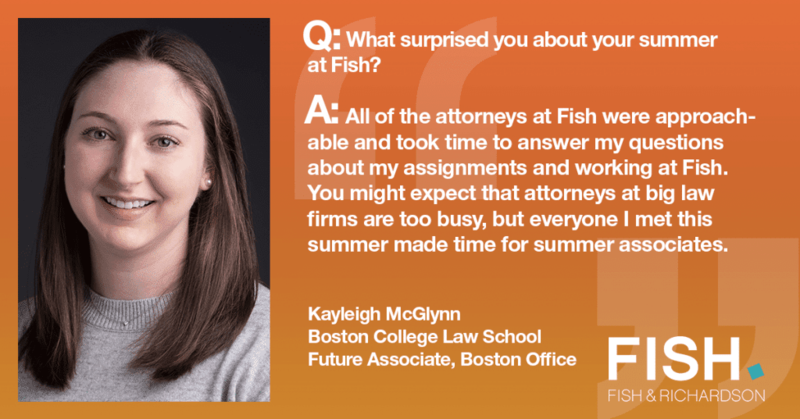 Not only do Summer Associates experience work here, but they also have the chance to get acquainted with the attorneys and city in which the office is located. 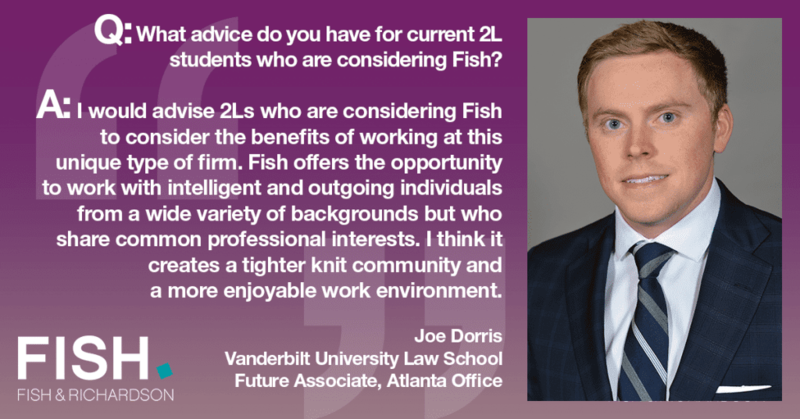 To help integrate Summer Associates into the firm, we assign a mentor to each Summer Associate based on common interests, educational background, and other criteria. And let’s not forget fun! 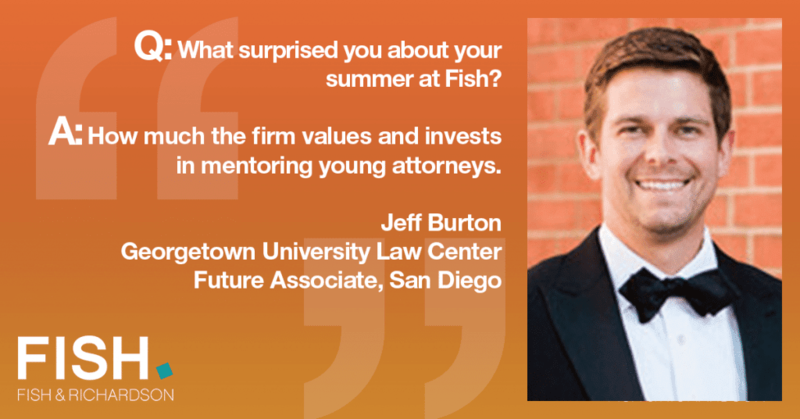 Social events are designed to allow Summer Associates to explore the city and local culture while getting to know our attorneys. Social events coordinated locally vary from formal dinners, cooking classes, and wine tastings to activities such as video game nights, bowling, and canoeing. Additionally, there are community service-oriented activities, including coordinating with Habitat for Humanity and volunteering with a local animal shelter or food bank.